Using Vizium360 patient survey & data analytics helped La Jolla Cosmetic Surgery Centre grow by 29% in 6 years. Is your team putting the bulk of their energy into increasing patient satisfaction ratings on consumer review sites like Yelp, Google, and RateMDs? Considering how many patients use these sites to get independent feedback on the patient experience, this makes sense—at least on the surface. But putting all your stock in these public, anyone-can-leave-a-review sites doesn’t help you tell the complete and true story of your quality. In fact, only a small fraction of your actual patients will go to Yelp and leave a review—meaning you’re not harvesting and sharing the positive experiences of thousands of happy patients. Industry studies show that provider-initiated, verified survey-based reviews generate higher ratings across the board for healthcare providers than consumer review sites. 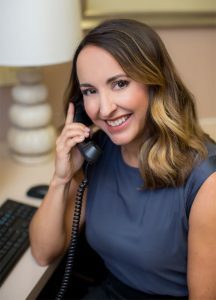 Janelle Robinson, Director of Patient Services of La Jolla Cosmetic Surgery Centre (LJCSC), shares how using Vizium360’s proprietary survey tools and analytics helped LJCSC tap into their large pool of highly satisfied patients and use their feedback to further improve patient experiences. With increases in web leads, new patients, and retention and referrals, our practice grew by 29%. LJCSC is an 11-provider cosmetic plastic surgery practice and medspa. In 1988, they began actively soliciting patient feedback to grow and strengthen their practice. By 2011, despite 23 years of internal patient satisfaction efforts and positive patient feedback, Yelp rated them as a C+ practice. They had to find a way to showcase the truth about their quality. In 2011, they began using Vizium360 to survey their patients. Vizium’s algorithms calculated their ratings and reviews and validated their quality via its dashboard and reports. 95% of their patients were either Highly Satisfied or Satisfied. Their greatest learnings came from the 5% who they had disappointed unintentionally They used this feedback to make targeted improvements to things that matter most to their patients. Next they began using Vizium’s 100% verified ratings and reviews on RealPatientRatings.com. The frequency and accuracy of Vizium-generated ratings and reviews revitalized their marketing, provided content for their website, and improved their online reputation. Would you like to see your healthcare organization experience similar improvements in patient satisfaction? Contact us today to request a demo and learn how Vizium360 can help you make feedback matter for you.